Honda standard valves give up at around 14,000 rpm with big lift and long duration cams. 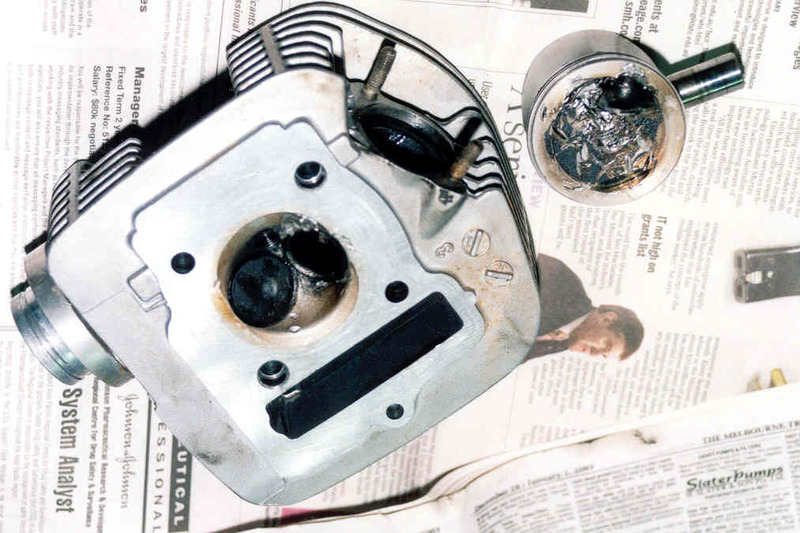 Note that the head of the valve is jammed into the piston. The thing to keep in mind is that stockers when pushed will break things. The CRF and TTR are now pretty well bullet proof as all the weak bits have been sorted out. Yamaha bring on the YZ125F, Honda bring on the CR250F, sorry about that, I meant the the CR125F mini MX bikes we want. Yamaha TTR125 hubs are useless. 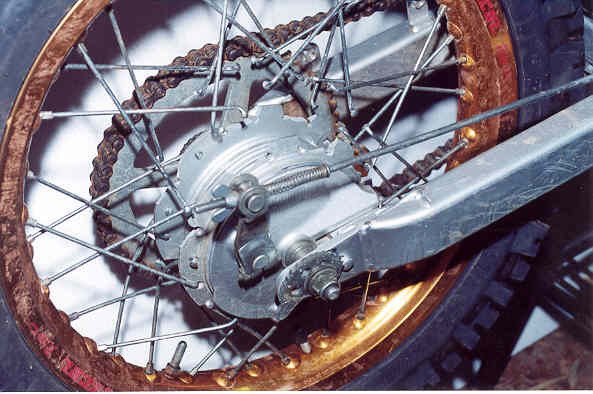 They originally broke around the sprocket studs so Yamaha revised them but did nothing about the breakage of the poor quality casting around the spoke holes......... A Kawasaki rear disc set up has now replaced it. Pictures later.